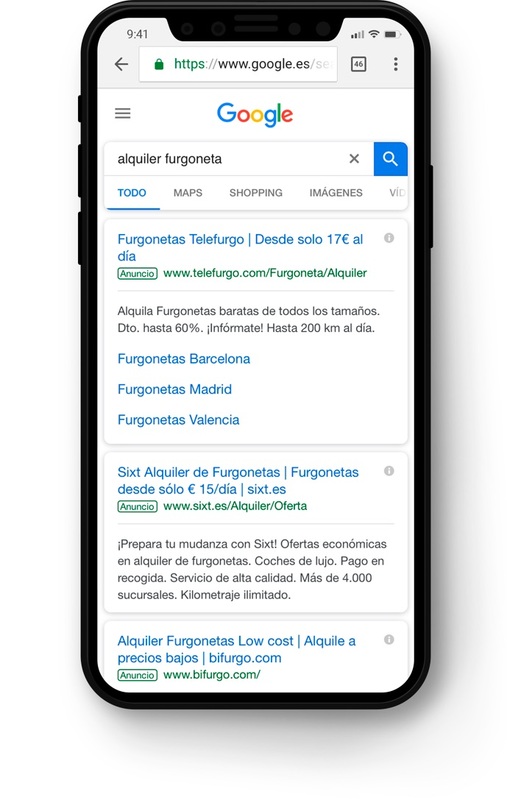 Through a SEO and SEM mobile strategy we turned Telefurgo into a leader in the van rental sector. We have established the brand where users search for vehicles: on Google. We understood that the digital channel is a fundamental part of the sector where searchers are the gateway to hiring a service/product. Hence why we developed a SEO and SEM strategy in a unified and centered manner, creating campaigns, extensions and features for mobile devices and creating a call center geared solely towards digital traffic. Got something to share? If you want to create a project, if you want to become a "habitant" or if you have any questions or suggestions, just drop us a line!